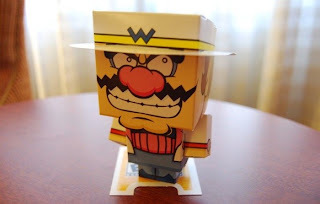 I'm guessing they got the playful papercraft from someone at Nintendo of America, as the company's WarioWare D.I.Y. will hit store shelves (in the States) in just a few weeks. So fun! Do they let Joe Anybody in there?